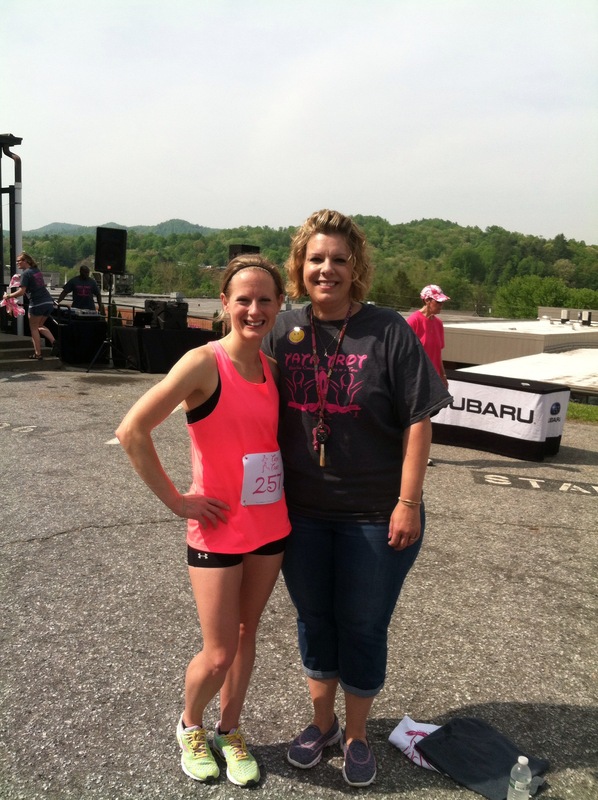 Posted in 5k, fast, PR, press on, race, racing, running, spring	by Jess@Run Pink! If you’ve followed me for a few years now then you know I’ve ran the Tata Trot now a handful of times. It’s one of my favorite courses and causes to support. The Tata Trot 5k started out as a senior high school project by Chrissy Hale’s, race director and breast cancer survivor, daughter to raise funds for the American Cancer Society. Chrissy Hale, breast cancer survivor more than once! She’s a pillar of strength and I am proud to know her. It really is a beautiful story. If you get a chance, like them on Facebook, keep tabs on the dates for next year, and make plans to visit us next year and race with me! Cost: $20.00 early registration then $25.00 day of. Very affordable! I pre-registered with a mail-in form and we registered Mr. P day of. Weather day of: perfect. partly cloudy and cool! 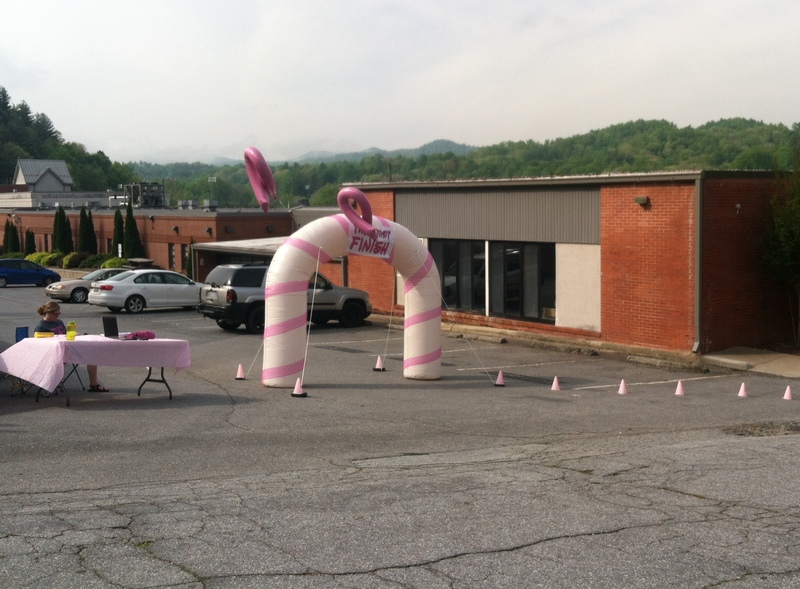 Course: Same as the previous year, starting at their high school gym, three loops around the town of Rosman with ample downhill to get you started, and just a short uphill on the finish. I personally prefer point-to-point courses because something about running the same loop messes with my brain. Makes me feel like I’m getting nowhere fast. However, the benefit of running the same track a few times means tracking your pace is easy and you know exactly which hill comes next. I tried to run each loop a little faster than the previous. 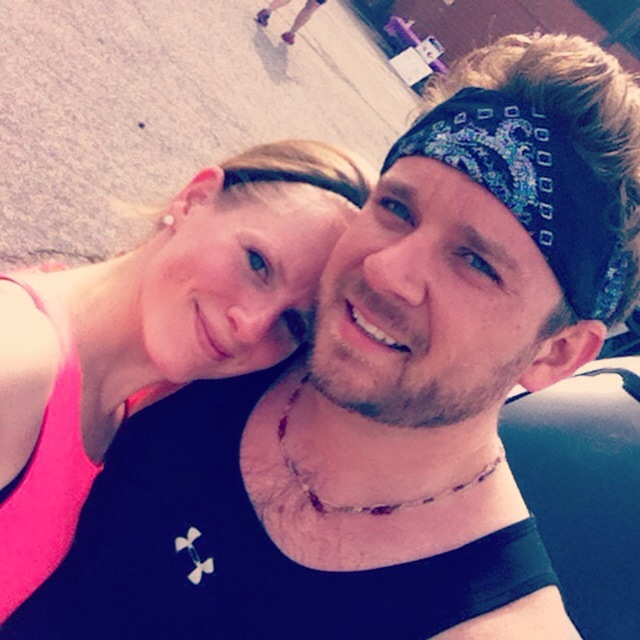 The husband and I both ran our personal bests here! Mr. P ran his personal best here too! Entertainment: They had Mr cool DJ, Marcus, from Class & Sound Entertainment keeping everyone energized with all my favorite beats. He had us dance the Cupid Shuffle as a warm-up. Fun stuff. Of course me, Mrs. Serious Racer, opted to watch everyone else dance. I know. I should totally not take a small town race so serious. That’s one thing I really need to work on, lighten up sista! Personally: Overall I felt good. No GI issues. Plenty of energy. Felt strong. PR in the books! finallly a sub-21 5k…even if It was barely sub-21… I’ll take it! Overall there is no doubt in my mind that I will be running this year after year. It’s a personal favorite and a perfect course for a personal best. Now would someone next year come out and challenge me?! 😉 Wouldn’t you want to come visit western NC’s beautiful, mountainous views?! Do you prefer point-to-point courses? Loops? Overlapping? 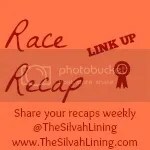 Favorite races and cause to run for? « Don’t Be Afraid to Give and Get Your Hands a Little Dirty. For 5ks I really like point to point just because it’s faster, don’t have to slow so much for turns, but for longer races, half and full marathons, I like bigger loops (no repeats please!) just because I don’t want to travel too far at the end haha. Great race and congrats on a shiny PR!! Thank you! The Nashville marathon had TONS of turns and loops. Made it harder to go faster. Great race pace!!! Congrats on the PR! Congratulations on your win and sub-21! Sub-21 is sub 21 and really freaking awesome :). The marathon training paid off big with the faster 5K time. It looks like this was a great race for a great cause and I love the pink finish set up. 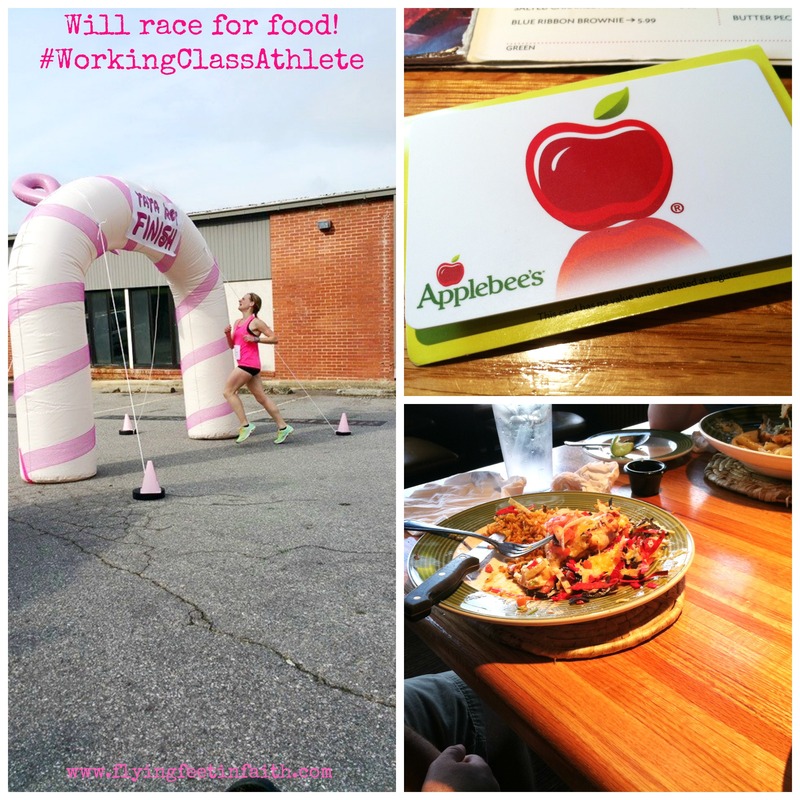 Plus winning a gift card for a restaurant is always cool because the celebration continues after the race. Exactly! We enjoyed our dinner together as a racing family 🙂 I definitely do believe the marathon training had a lot to do with my fast race!! Ready to tackle the 10k in July and test my speed in that distance! Awesome job on winning!!! And your PR! What an awesome race! I much prefer point-to-point. I like the idea of never seeing the same thing twice. But that said…one loop really isn’t so bad. What I really hate is multiple loops! Thanks for hosting! I do love our mountains so much. It’s a little piece of heaven!